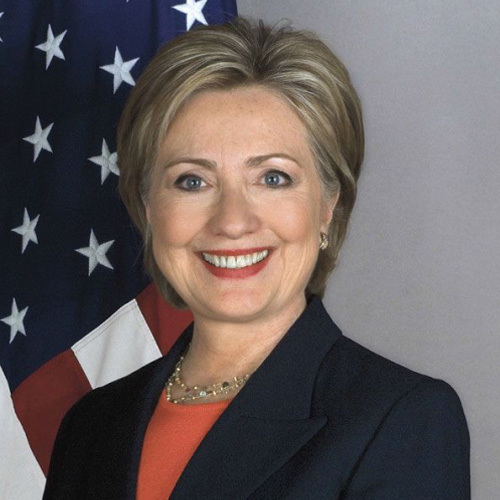 Secretary of State Hillary Rodham Clinton (Credits: US Department of States). Michael Listner for the Space Safety Magazine: Five days after Ellen Tauscher made her surprise announcement that the United States was not going to sign onto the EU Code of Conduct for Outer Space Activities, Secretary of State Hillary Rodham Clinton in a press release announced that the United States would lead a collaboration of nations including the European Union to develop an International Code of Conduct for Outer Space Activities. Citing the need to address the challenges posed to outer space systems and the long-term sustainability of the space environment from space debris and irresponsible actors as well as ensuring the stability, safety, and security of the United State’s space systems, the Secretary noted that a Code of Conduct by establishing guidelines for the responsible use of space is needed to help maintain the long-term sustainability, safety, stability, and security of space. The Secretary also noted that any code of conduct that resulted would not detriment the national security interest of the United States or its allies. The rationale put forth from withdrawing from the EU Code of Conduct effort was that it was too restrictive in that certain mandatory language within the non-binding EU Code was inconsistent with established practice. In that respect, the Hague Code, which is non-binding under international law, was used as analogy noting that there is no binding language within it such as that found within the EU Code. This suggests that language within the EU Code implicated United States national security, although exactly how it did so was not elaborated upon. However, an Administration official noted that instead of discarding the work done on the EU Code, it will provide a solid foundation to begin work on the International Code. Negotiations on the International Code is expected to go on through 2012 and possibly into 2013. Signing of the measure is not considered imminent. On the domestic political front, House and Senate members are expected to ask the Administration tough questions about the International Code. Critics of the EU Code in Congress are likely to view the new initiative as a way for the Executive Branch to circumvent the Senate’s treaty-making powers by entering into executive agreements that do not require the Senate’s approval. It was this concern among Republican Senators in particular, who voiced their unease during the EU Code that the Administration was entering into negotiations that would lead to signing of that Code without the input or approval of the Senate. The Administration correctly pointed out that it was not negotiating a legally-binding treaty, and therefore it did not have to consult with or seek the approval of the Senate. There is also the question how election year politics will play into the International Code effort, and whether this new International Code is an effort by the Administration designed more to enhance the electoral standing of the current occupant in the Oval Office than to address a pressing national security need. The question of how effective negotiations for a new accord will be considering the potential that exists for a new President to take office in 2013. With a new President comes a new national space policy for the United States and as such new priorities. An accord negotiated and signed by the current President could be undone by a new Administration and as such partners in an International Code effort may be cautious about negotiating and entering into such a measure if the possibility exists that a new Administration would simply invalidate it with an executive order. There is also the question of the reaction of Russia and the People’s Republic of China (PRC). Both nations distanced themselves from the EU effort as it ran contrary to the diplomatic tack of arms control preferred by both nations via treaties banning “space weapons” like the PPWT, which both nations have co-sponsored in the UN Conference of Disarmament. A successful International Code or even a Code signed by a plurality of the space faring nations will effectively invalidate the PPWT and the soft-power advantage that the PRC and the Russian Federation currently enjoy in the UN. It is likely that neither the PRC nor the Russian Federation wish such an outcome to come to fruition and will certainly stonewall efforts for an International Code to succeed. Bill Gertz, Inside the Ring, New space-arms control initiative draws concern, Washington Times, January 16, 2012. U.S. Department of State Press Release, January 17, 2012. Michael J. Listner earned a bachelor of science degree in computer information systems from Franklin Pierce University in 1998 and his juris doctorate from Regent University School of Law in 2001. He was admitted to practice law in New Hampshire in 2003. Michael has published articles and essays on the topic in legal and online journals, which have been cited in numerous scholarly papers and by various think tanks. Michael is an attorney and policy analyst with an emphasis on space law and security. Michael also writes as a Senior Contributor for DefensePolicy. Org. He can be contacted at [email protected] Follow Michael via Twitter @ponder68.